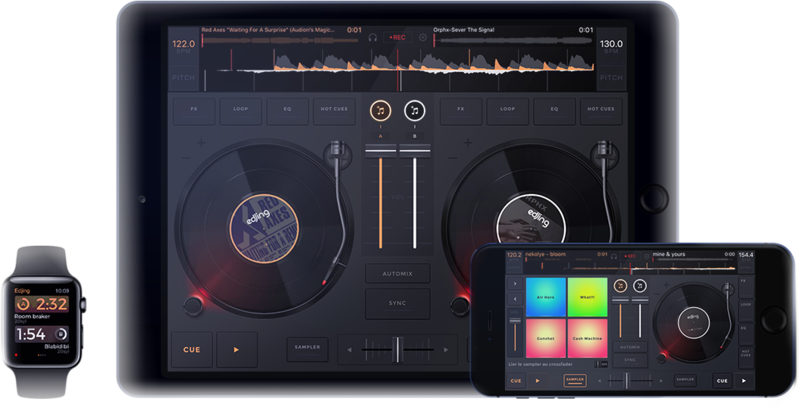 With a brand new user interface that simplifies all controls and the integration of sophisticated features such as the arrival of the sampler or the hardware compatibility, edjing Mix stretches the limits of mobile djing and now enables pro DJs to use edjing Mix as their main solution to perform. Users can find all the tools they need to let their imagination run wild. 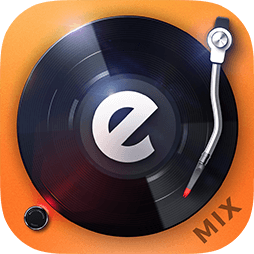 With the most extensive music library in the world of DJ apps, edjing Mix offers unlimited creative freedom and lets users switch between their own mp3, streaming sources like Deezer or SoundCloud, and tracks from their cloud storage platforms Google Drive or Dropbox. All that with the possibility to create playlists containing tracks from multiple music sources. 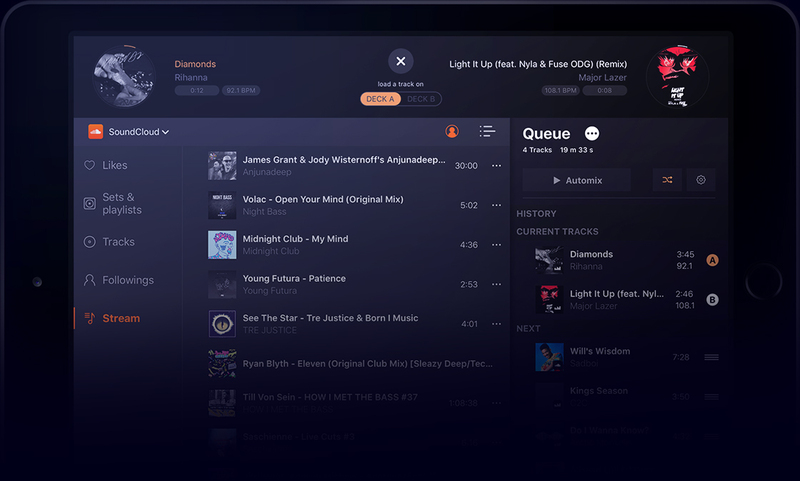 The edjing Mix music library optimizes time at a maximum. 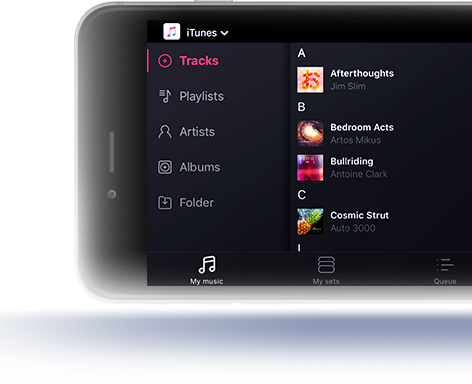 With the possibility to sort tracks by BPM, alphabetical order or length, people can easily find the song that meets their needs. 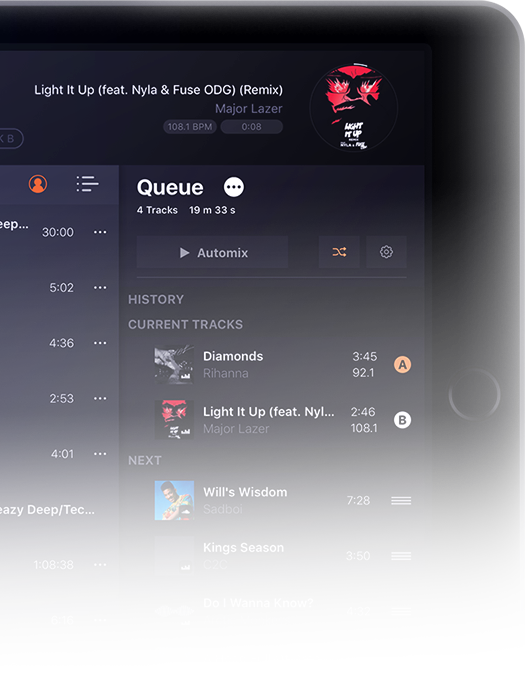 Not to mention the global search that enables users to get a detailed results list sorted by music catalogues, or the current queue to manage and organize DJ sets. 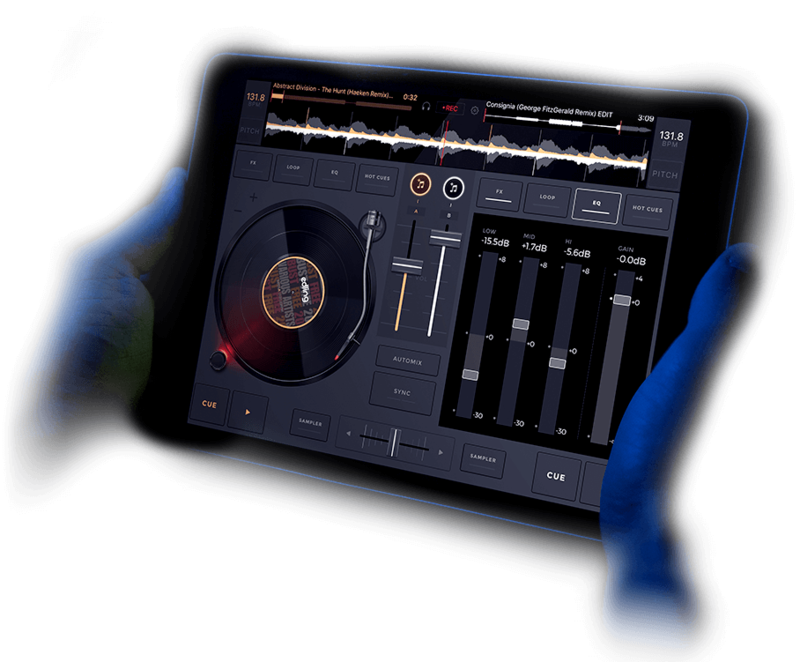 Thought to provide better and smoother set management, the iPad version displays the music library, the Queue AND the turntables with drag & drop gesture so DJs don't have to switch screens when mixing. At the heart of edjing Mix's design is the willingness to offer the most realistic mixing experience possible. Not just for the experience itself, but also to make its manipulation easier, for beginners and pro DJs alike. 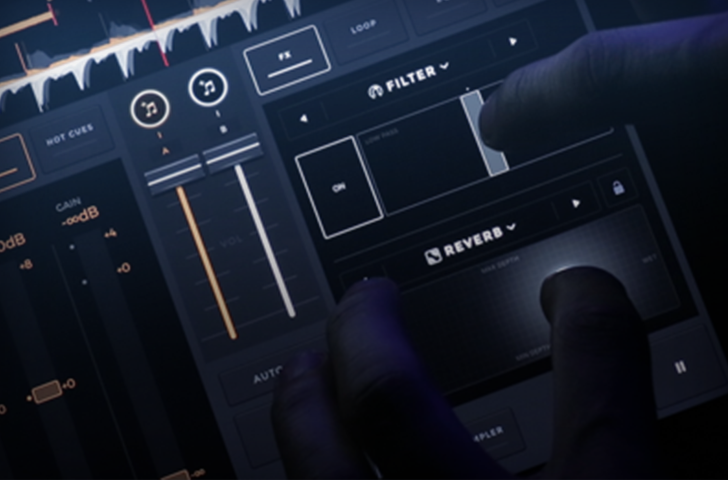 The new realistic interface has been thought to be the most efficient possible with a direct and quick access to all essential features to gain time during live sessions. edjing Mix includes an all-new sampler with colored drum pads on each deck. With the drum pads users can trigger high-quality sample sounds on top of their music at any time to enrich their mixes. Users can also link each sampler to their crossfader and control their volume. Created in partnership with Future Loops, the new store offers +20 packs of all the musical styles, each one containing 16 sounds. 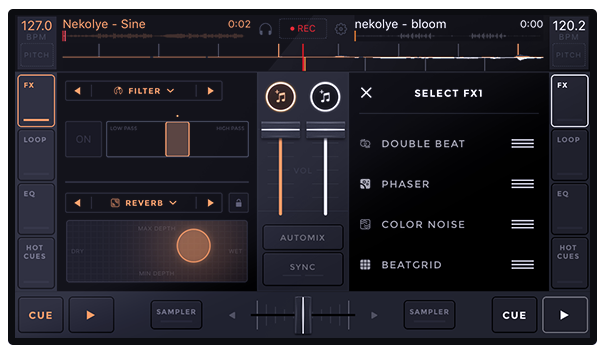 With the introduction of the Smart Volume, edjing Mix confirms its will to optimize the mixing experience. This new feature automatically detects the volume and the gain of the two tracks playing to adjust the gap if needed, and avoid saturated sound. Thanks to the CAE technology, edjing Mix calculates the BPM of each track with an extreme precision that leads to a better beat's position. This technology enables you to get an improved sound rendering and to fully enjoy the structuring and the rhythmic effects. From the Filter, Flanger, Roll, Echo or Phaser to more complex FX like the Beatgrid, the Roll Filter or the Double Beat, edjing Mix includes creative FX that can be applied simultaneously, thanks to edjing CAE and a reworked ergonomics. The dedicated interface also enables users to manage the order of their FX to make their favorite ones appear at first. 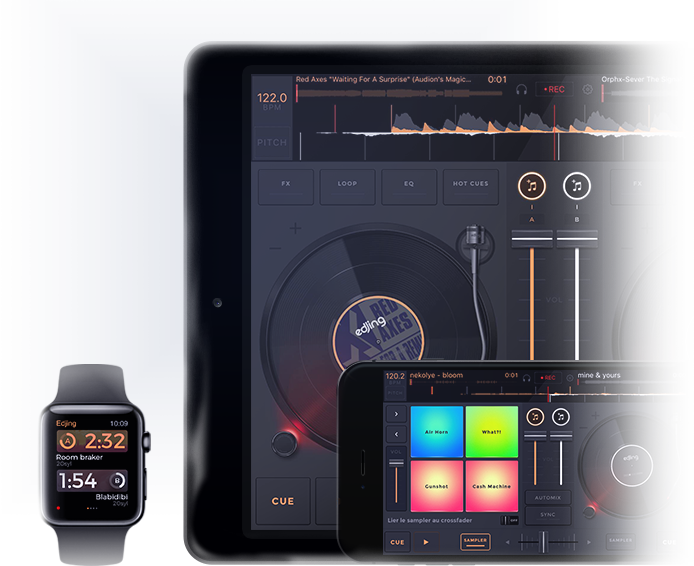 The most social DJ app in the world offers even more sharing possibilities. Users can easily find new followers and boost their fan base by sharing their mixes directly via the app on a host of channels, such as Facebook, Twitter, Whatsapp, Telegram or Messenger. 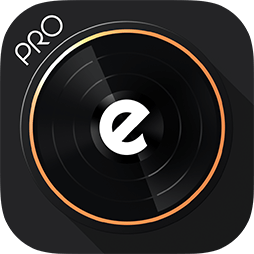 The new version of edjing is more friendly with traditional DJ hardware. It supports MIDI and now DVS (Digital Vinyl System). 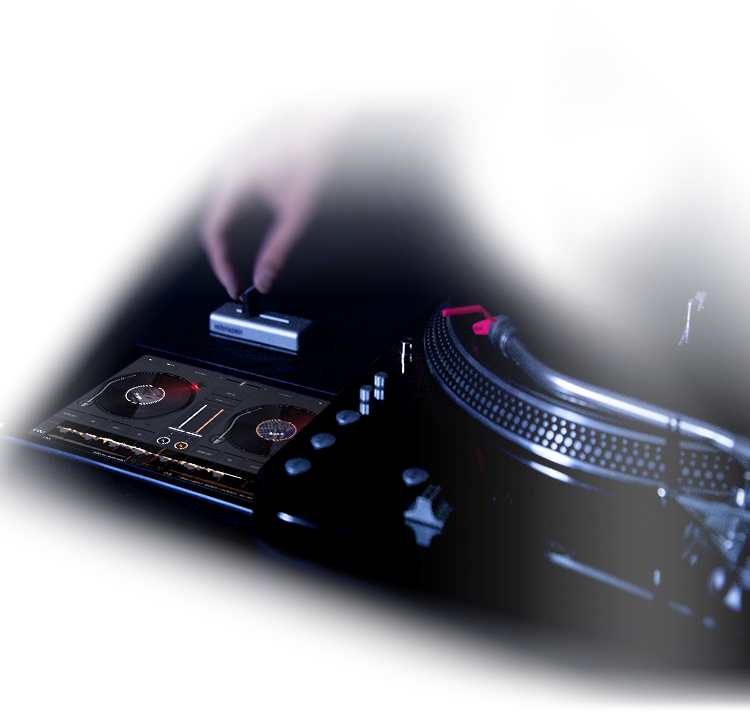 In this way, in addition to MIDI controllers, users can connect through two vinyl turntables. edjing Mix can be used with both timecoded and audio vinyls and allows to use all edjing features like applying FX and recording. 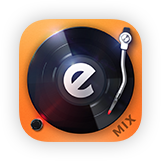 edjing Mix is compatible with Mixfader, the first wireless portable scratch fader, a product also created by DJiT. Connected via Bluetooth 4.0 to Mixfader, edjing Mix becomes your record vinyl while Mixfader keeps the crossfader role. 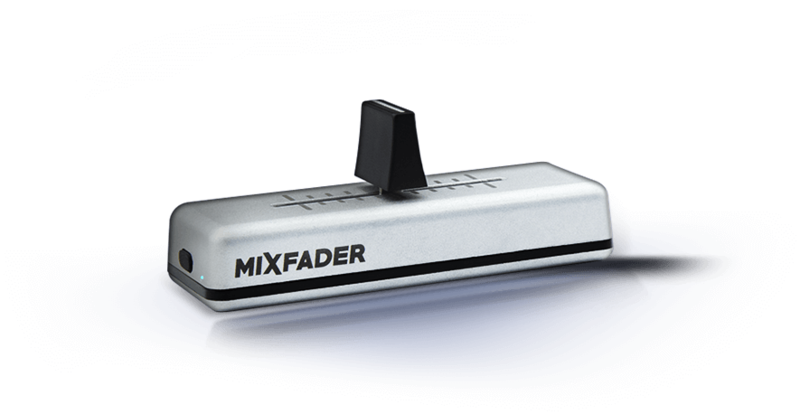 edjing Mix is also compatible with Mixfader, the first bluetooth crossfader, launched by MWM a few months ago. 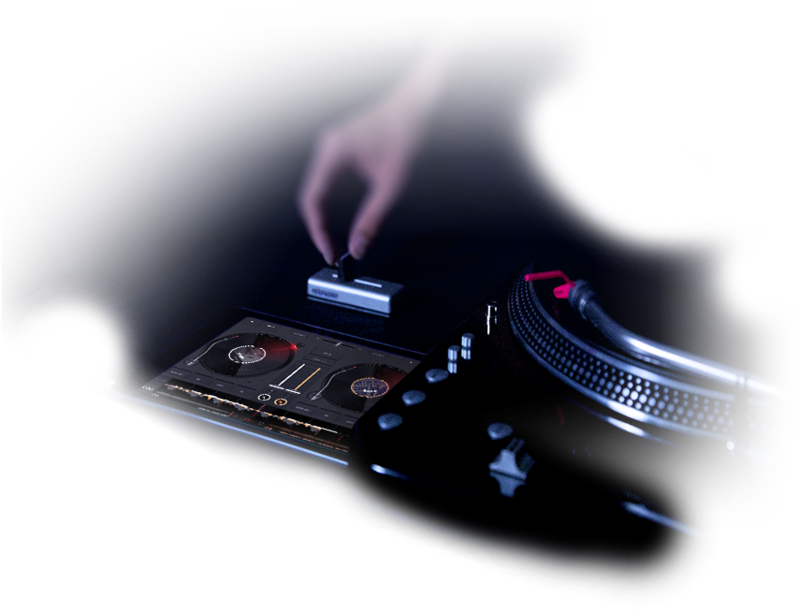 Connected via Bluetooth 4.0 to Mixfader, edjing Mix becomes your vinyl record while Mixfader keeps the crossfader role. The perfect How to Start guide for edjing Mix iOS.